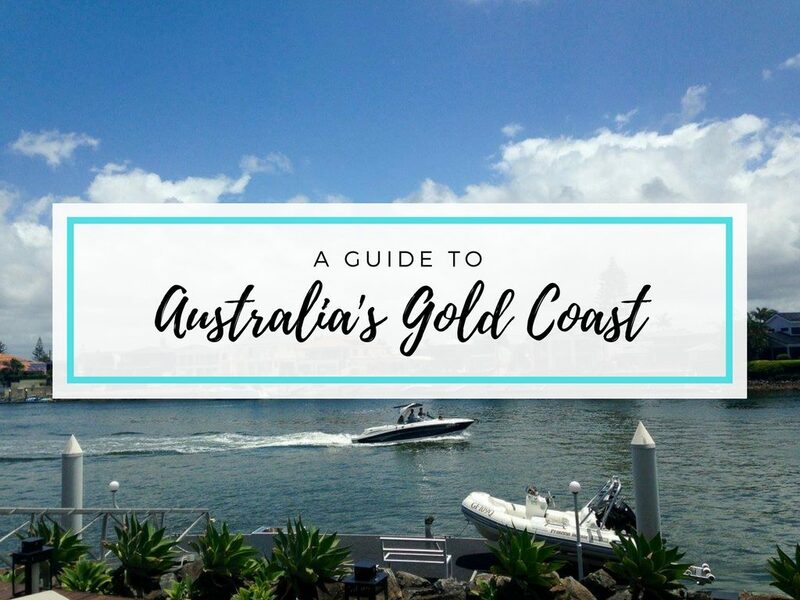 When people visit Australia, the areas that tend to be most popular are Sydney and Melbourne, the Great Barrier Reef and Queensland coastline, Uluru and the dry red centre, and even the wine regions near both Perth and Adelaide. One of the regions that tends to be overlooked quite often is what Aussies know as the Top End. The Top End is the tropical part of Australia in the far north of the Northern Territory extending to Katherine. What I find cool about the Top End and NT in general, is how wild and untamed it feels compared to the rest of Australia. The cities are small and far between, the roads are long with no speed limits, and the nature is unbelievable. Back in November, my boyfriend and I visited Bali and then flew into Darwin, capital of the NT and the hub of the Top End. 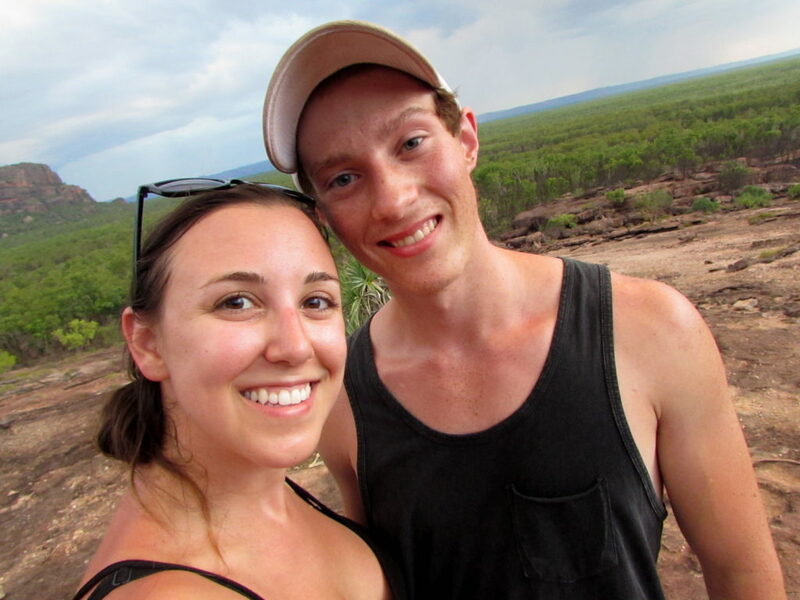 In Darwin, we bought a car and began our epic road trip all over Australia! We spent the first part of our adventure exploring the Top End and discovered some pretty amazing spots. Darwin has a completely different feel to other cities I’ve visited around Australia. First off, it’s in the tropics so it’s extremely hot and humid. It’s also much smaller than other cities and has a much more quiet feel to it. 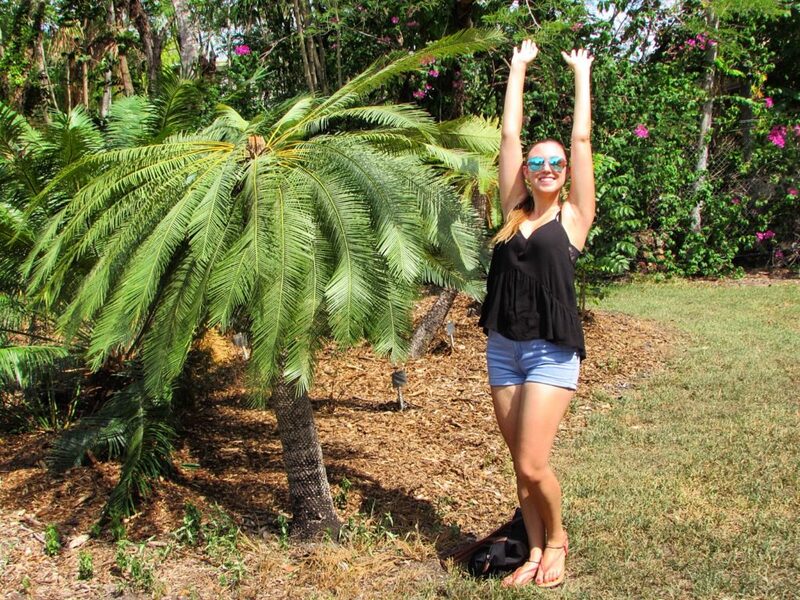 While the best places in the Top End lie outside the city itself, Darwin does have some cool things that make spending a few days there definitely worth it. Ok, they aren’t as impressive as the botanic gardens in Sydney or Melbourne, but they have a totally unique feel. They focus on plants that are native to the region and are quiet and peaceful. See if you can spot the massive snake in the tree as well! It’s fake but looks insanely real. You can even try to scare other tourists by pointing it out! One of the things that I found most fascinating about the Top End was learning about their native reptiles. Tropical northern Australia is infamous for its crocodiles and by learning more about them, you realise just how amazing (and also terrifying) they are. Crocosaurus Cove has some massive crocodiles. 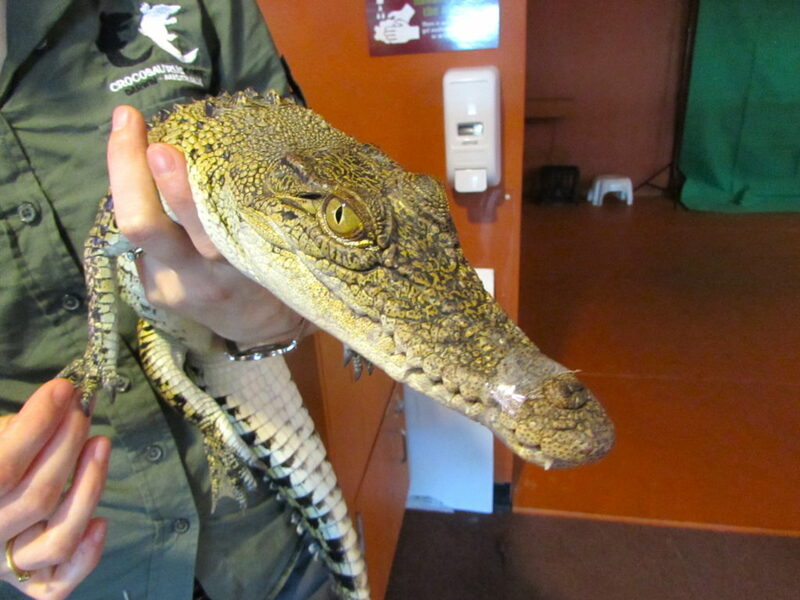 You can watch them eat, hold a baby crocodile, and if you’re really brave, you can go into the Cage Of Death—a glass case that gets lowered into the water and lets you get up close and personal with the crocs! 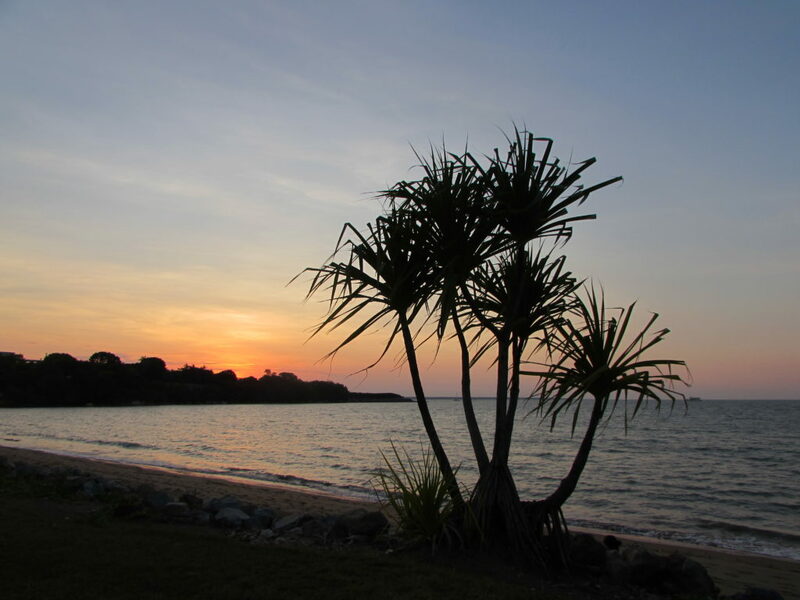 Mindil Beach is the place to go in Darwin for the sunset. If you visit during the dry season, you can visit the Sunset Market which is full of vendors and food. And if you feel like going for a swim, make sure to stay in the designated safe areas, because crocodiles. The Wharf Precinct is a newer area of the city. It’s right on the harbour, has some pretty views, and makes for a nice afternoon walk. 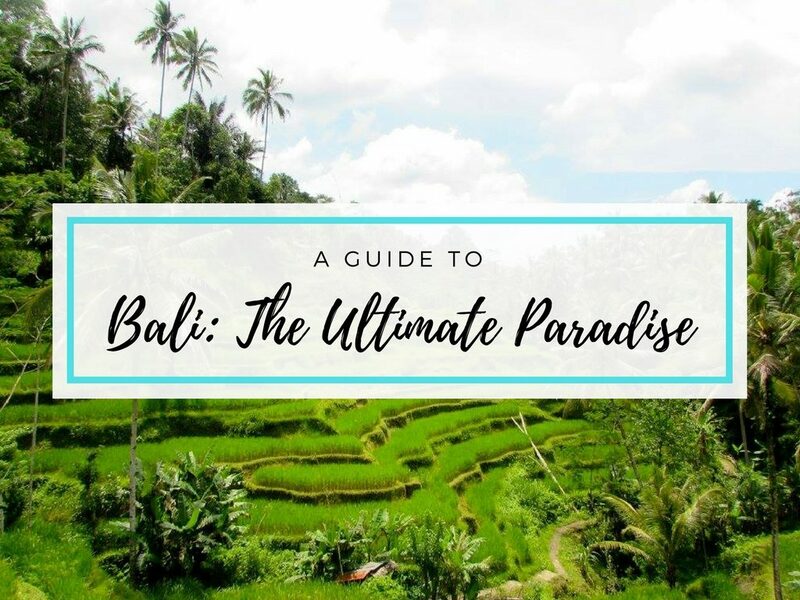 And since the beaches around the city aren’t the safest due to crocs and jellyfish, there are some manmade beaches you can visit that make it feel like you’re on the real thing. 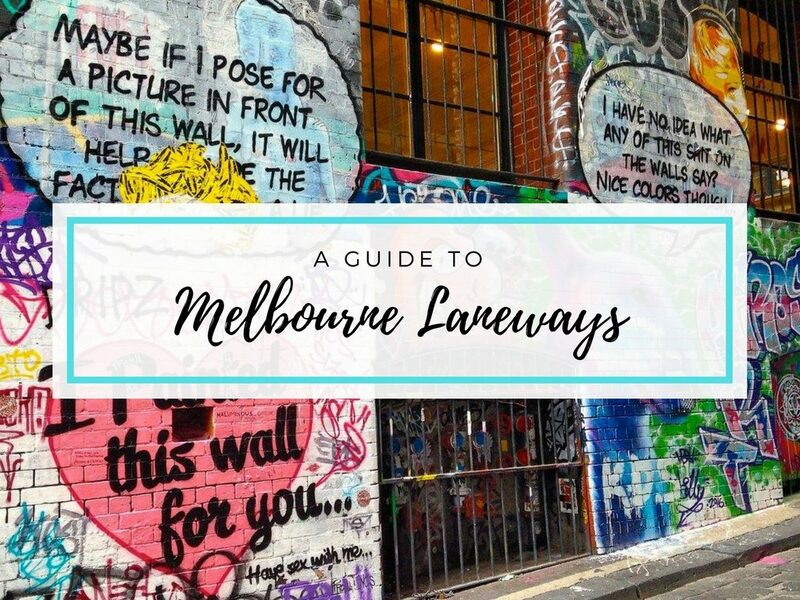 Mitchell Street is the place to go for anything entertainment-wise. It is a long street through the CBD full of restaurants, bars, cafes, and shops. You can get some great happy hour deals on food and drinks, and there are a few places that do fun trivia nights. 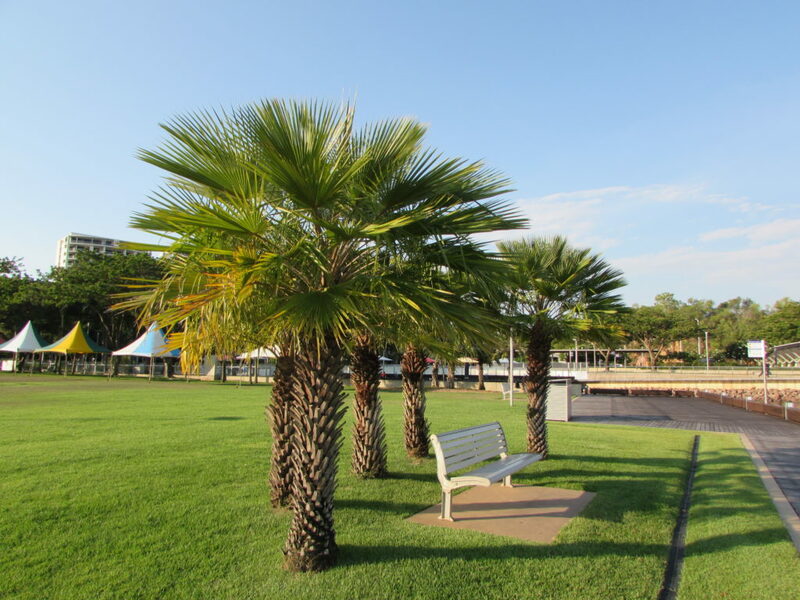 For another nice walk through the city, check out the Esplanade along Bicentennial Park. 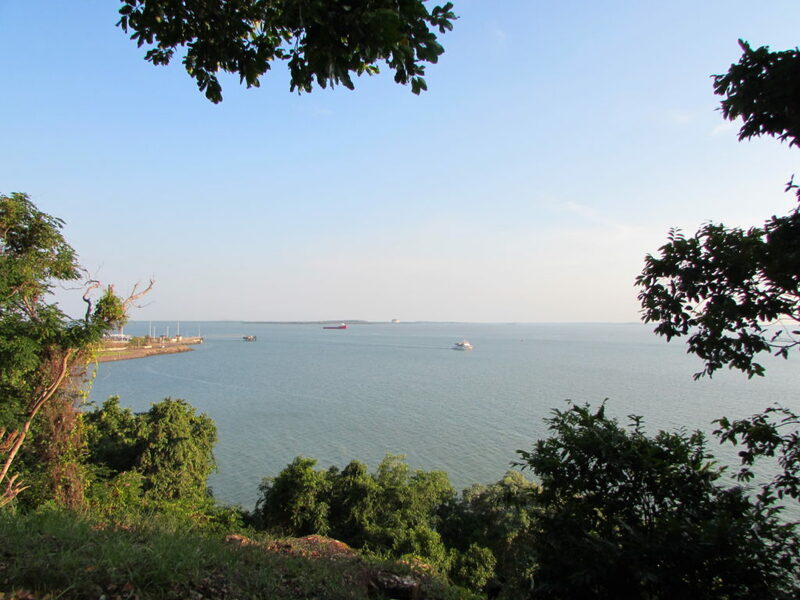 There are some pretty views overlooking the ocean and lots of statues and plaques along the way that can teach you a bit more about Darwin. You can also get some pretty sunset views over the water here. 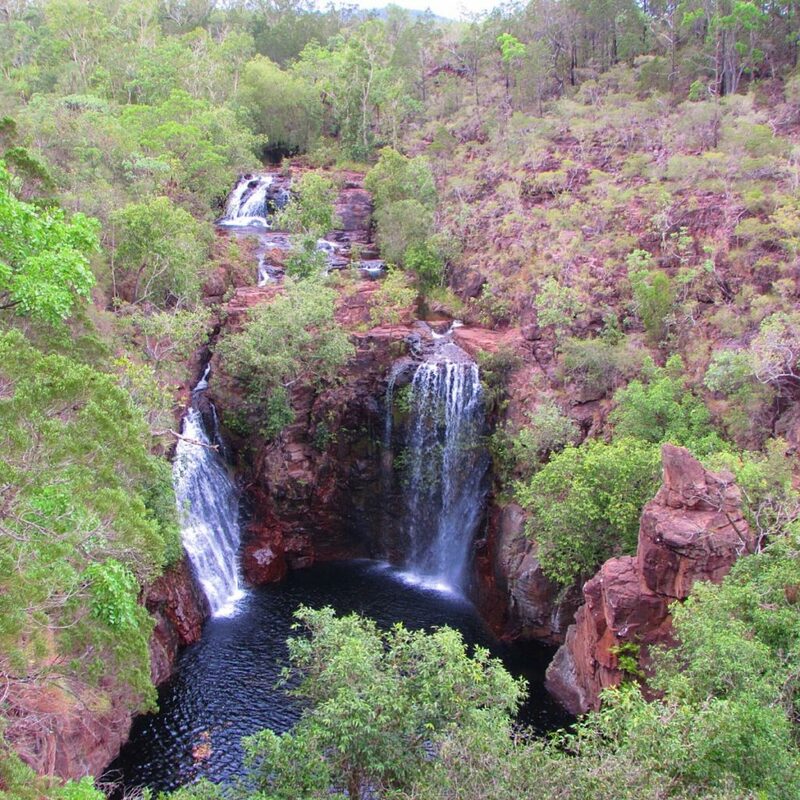 With the entrance only about an hour and a half from Darwin, Litchfield is an easy day trip. 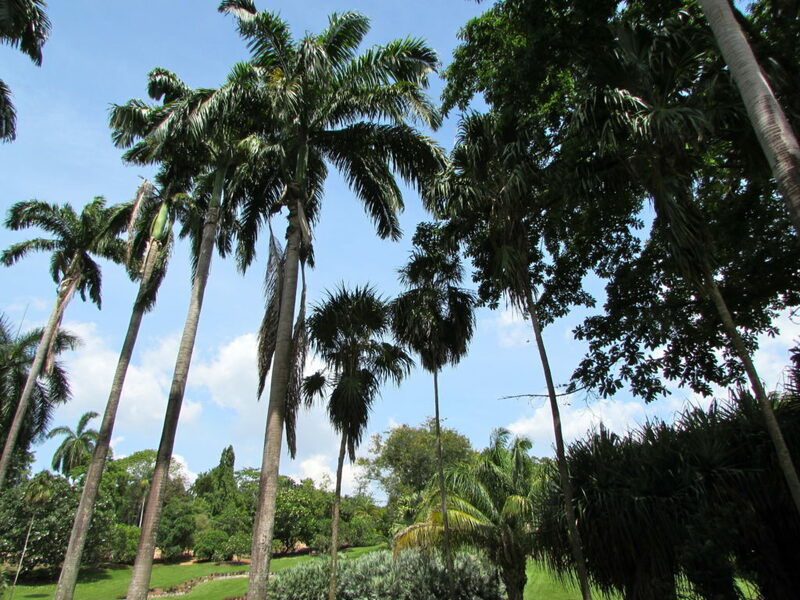 The park is full of Top End icons, including lots of waterfalls and tall cathedral and magnetic termite mounds. My favourite spots in the park are Florence Falls and Wangi Falls, which are both beautiful. The water in both spots can also be safe for swimming as long as it’s not Wet Season! Just be careful to check the signs and only go in the water if the signs tell you it’s safe. Some other popular spots are the Buley Rockhole, Tolmer Falls, and the Blyth Homestead where you can get some insight into pioneer life in rural Australia. On our way from Darwin to Litchfield, we made a quick stop-off in Berry Springs. It’s a small town without much to do, but the Territory Wildlife Park makes the town worth a visit. The park is different than a zoo because you get to observe the animals in their natural habitat. You can watch kangaroos eat their breakfast and pet them as they do so, and there are some great presentations by the rangers at the park. 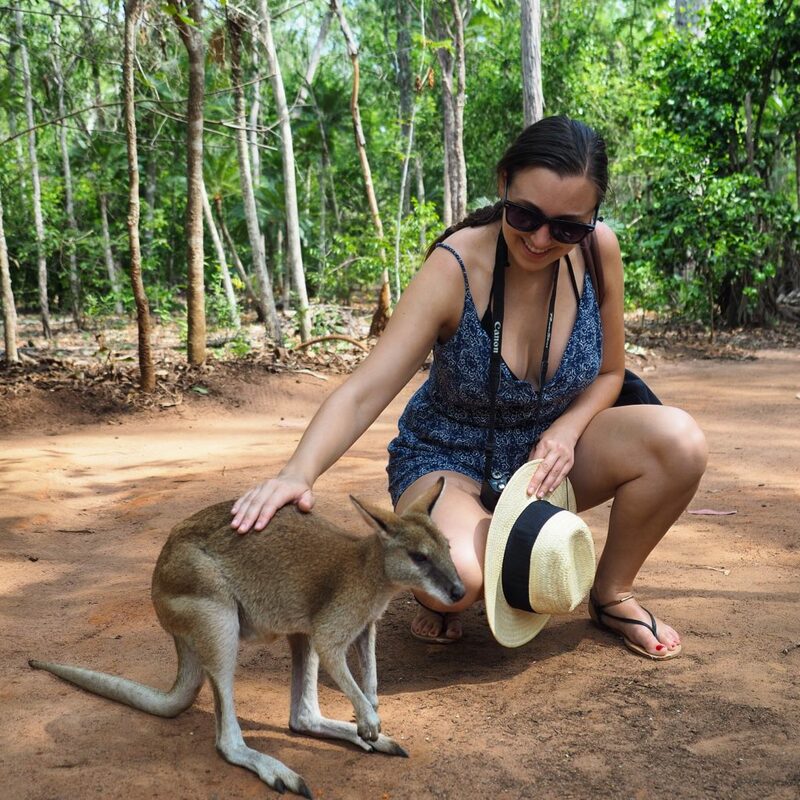 The park focuses on animals that are native and abundant in the Top End, so it’s a really unique experience. 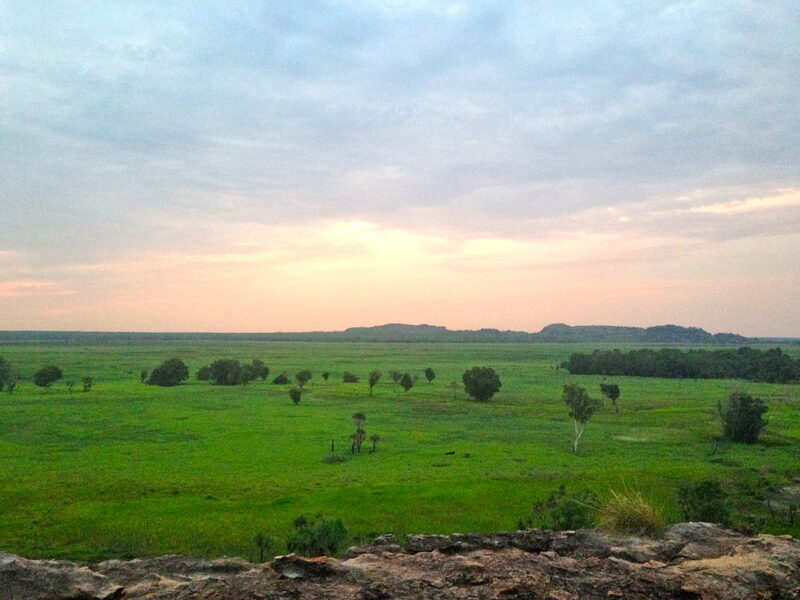 Kakadu seems to be on the to-do list for all backpackers in Australia. Google some photos of it and you’ll understand why! It makes up a huge area of the NT covering 19,804km2, which is about half the size of Switzerland. Like a lot of the Northern Territory, there is a huge Aboriginal influence throughout the area. 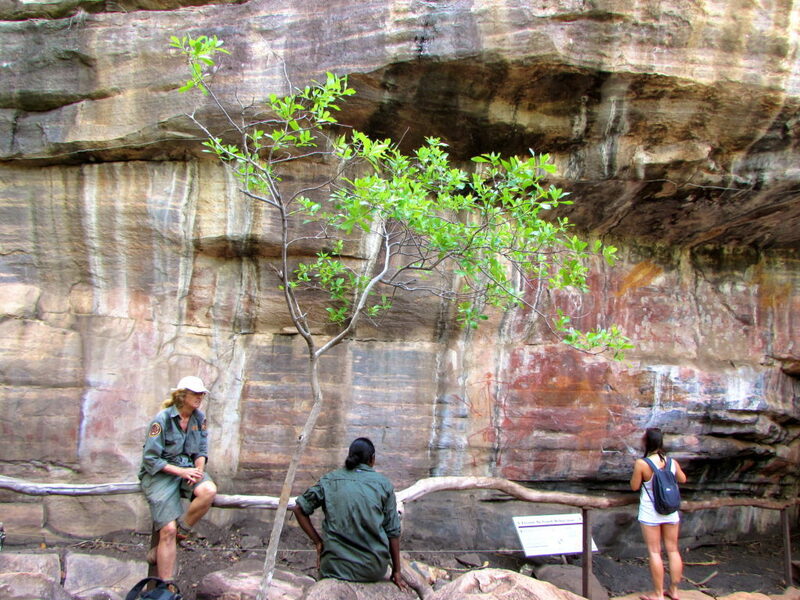 Part of Kakadu is even sacred Aboriginal land that can only be entered with a permit. I found it so interesting learning about Aboriginal history and culture as it’s not very big in the cities further south. Historians can estimate that people have been living in the Kakadu region for 60,000 years, which is insane to think about! Around the park, there is some really cool rock art, particularly at Ubirr and Nourlangie Rock. The colour paint will tell you how old the art is, with some of it more than 40,000 years old. Each artwork tells a story and there are some great free guided tours where you can learn more about them. Due to the size of Kakadu, it can’t be done in a day, especially if you are driving from Darwin. Plan to stay for at least a few days, and really immerse yourself in the nature by camping. 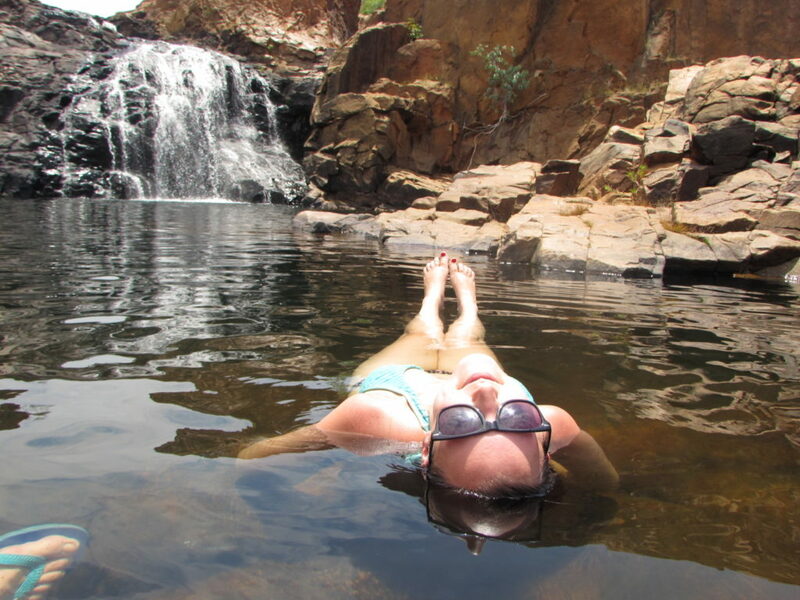 Spend some time in the Cultural Centre, enjoy the views from Ubirr and Mirrai, watch cars drive through the water and try to spot crocodiles at Cahill’s Crossing, and if you have a four-wheel-drive check out Jim Jim Falls, Gunlom Falls which is like a natural infinity pool, and Maguk Gorge. This is something iconic to do while you are visiting the Top End. Crocodiles are abundant in the region, particularly in the Adelaide River that goes through the NT. 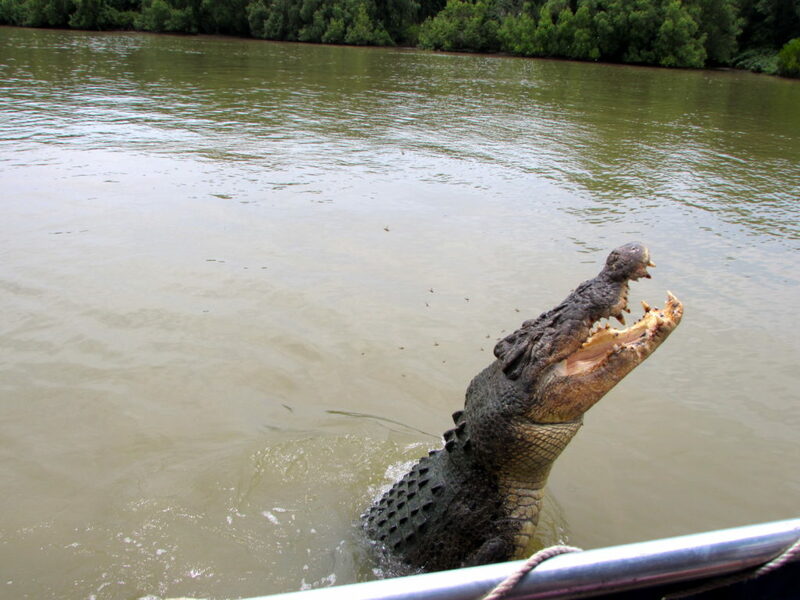 On a the crocodile cruise, you go out on a boat on the Adelaide River and get to observe the crocodiles in their natural habitat, which is beyond incredible. You get pretty close to the crocs, and the brave tour operators lure the crocodiles out of the water for meat that they hold out on poles. Crocodiles jump out of the water to catch prey, so you get to observe that natural predator instinct right in front of you. And since male crocodiles never stop growing—they just get larger and stronger with age—the size of some of them is unreal. There are a few different tour operators, but the one we went with was the Spectacular Jumping Crocodile Cruise. 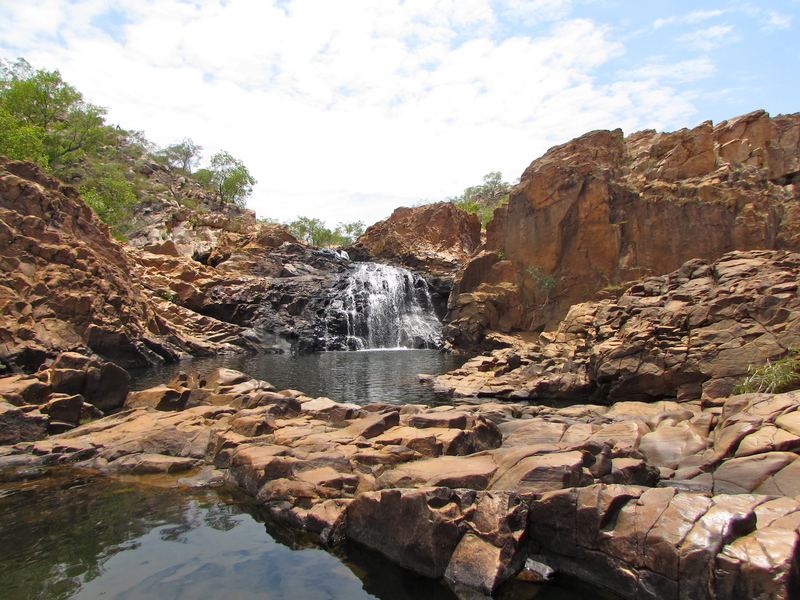 Edith Falls is a lesser-known spot to visit in the Top End, but I absolutely loved it! After a quick but tiring hike, you arrive at a little spring with a pretty waterfall. The water is ok for swimming since it’s too high for crocodiles, so you can cool off after your hike. There are lots of waterfalls around the Top End due to the tropical climate and heavy rains in the Wet Season, and this was one of the prettiest in my opinion! Katherine is a small town that is considered to make up the bottom point of the Top End. South of Katherine, you start to notice the difference in scenery as the climate becomes less tropical and more arid. 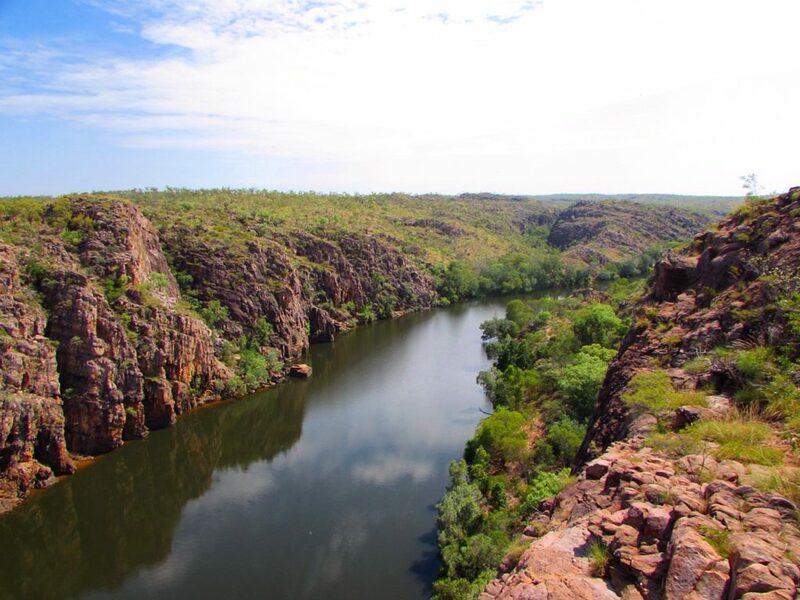 To finish off your time in the Top End, take a beautiful hike around Katherine Gorge. The views are great, and you guessed it, there are more waterfalls! You can even check out the gorge from a different angle by taking a boat cruise or hiring some kayaks. In total, there are thirteen gorges to explore, so you will have plenty to see! While technically just south of the Top End, these are some other cool places to visit that feel more tropical than Outback to me. 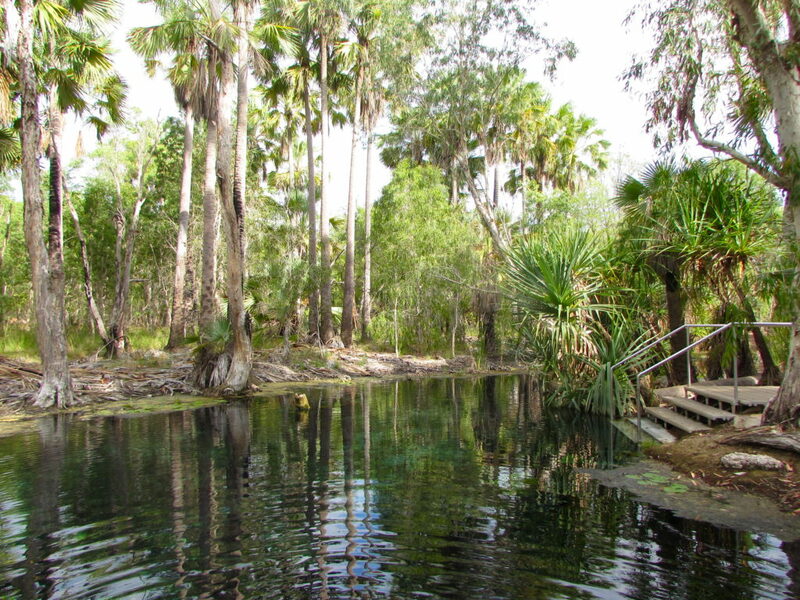 Both are natural thermal pools surrounded by palm trees, and are great places for a swim. The Mataranka Thermal Pools feel more like a conventional pool with a solid bottom and sides, while the Bitter Springs have a rocky algae covered bottom that feels really natural. Mataranka is probably more family friendly, but I absolutely loved Bitter Springs since it felt so authentic and kind of like a little oasis in the desert. Once you head further south from Mataranka, you’ll have days of driving ahead of you and you will officially be out of the Top End and into the Outback. But you’ll have to wait until my next post for that! The Top End was a really great place to explore and the perfect way to start a road trip around Australia. 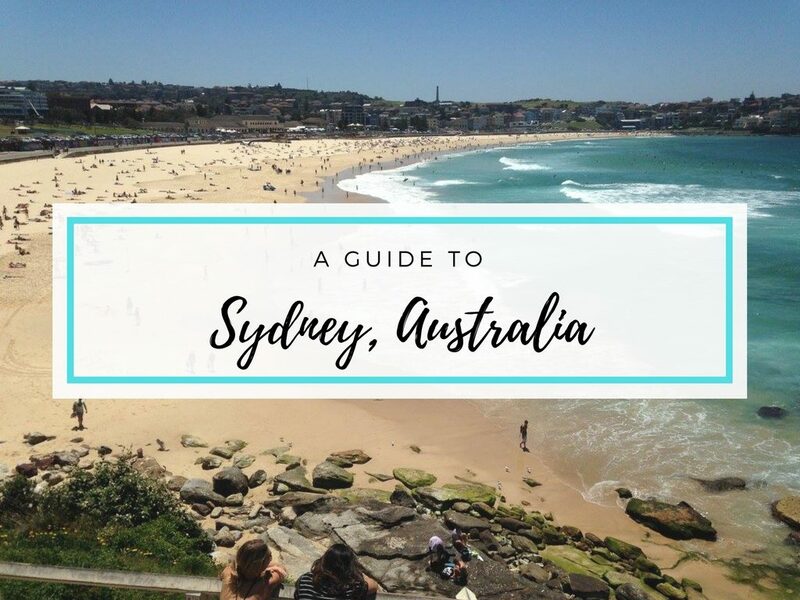 While the culture is much different than the typical Aussie beach culture, there is something about the region that just makes it feel so genuinely Australian and rugged. I would highly recommend a visit to the Top End for anyone travelling around Australia. And I would love to return with a four-wheel drive to see even more of the region! Did you know much about the Top End before reading this post? 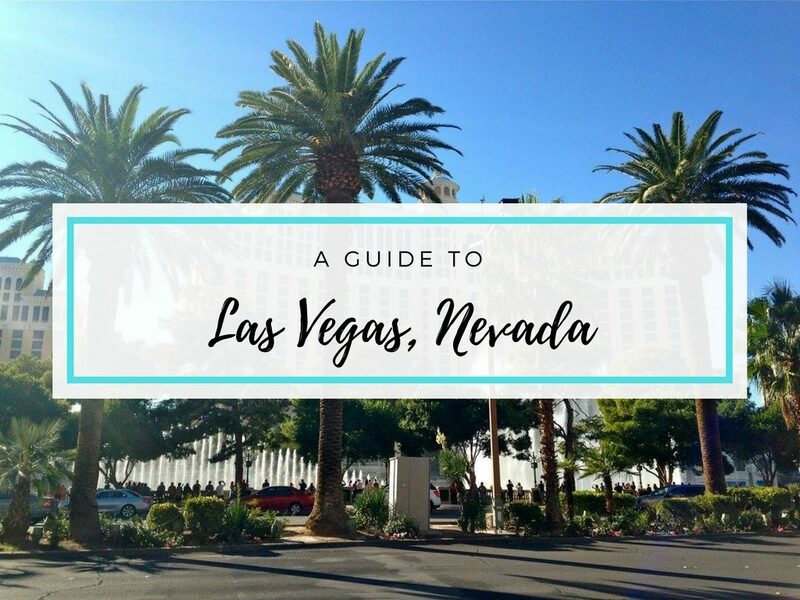 If you’ve been, what places did you like best? If you haven’t, what would you most like to see there? Let me know in a comment! 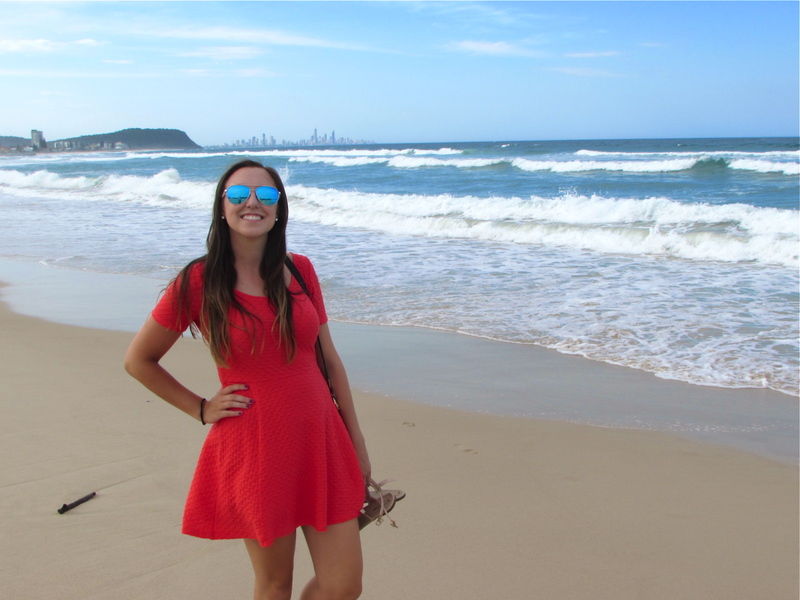 I can’t believe a region as beautiful as that is less traveled than the rest of Australia! I’d love to visit. Your photos are great. What I like about Darwin is it’s laid back and quite. If you want to relax stay away from big cities and go to Darwin. I almost visited the list above except “Bitter Springs and Mataranka Thermal Pools”. It looks interesting. Great work, Christie!